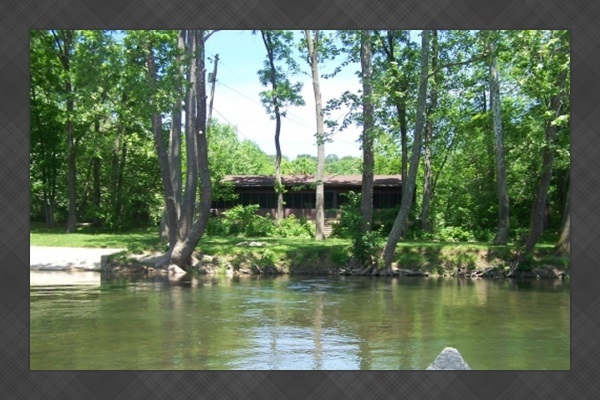 Let Your dreams take you to A Mid-River Dream Cabin! It is our only cabin that is directly on the river. Our A Mid-River Dream cabin has breathtaking views of the river and mountains. It features two bedrooms with queen beds, a third bedroom with 2 twin beds, living room, full bathroom, a fully equipped kitchen, dining area, and a large family room. A large enclosed porch with a hot tub overlooks the river. Central heat and air conditioning make your stay more comfortable. Bamboo floors grace the main living areas of the cabin. Outdoor fire-pit outback- Perfect for gathering around and roasting marshmallows! It has the best fishing and swimming spots on the Shenandoah River with its own boat landing and less than a mile from a pubic boat landing. The Shenandoah River Outfitters is only minutes away by car, as well as, to hiking trails in the George Washington National Forest. Bring your fishing poles, inner-tubes, bicycles, and hiking shoes. Dreams really do come true at our A Mid-River Dream Cabin!